The above video is taken from a Swedish Television documentary about the 1991 Hultsfred Festival which also features The Pale Saints and James. You can watch the full documentary here, many thanks to Peter for sharing. Here’s a TV-special about this festival I uploaded to YouTube. 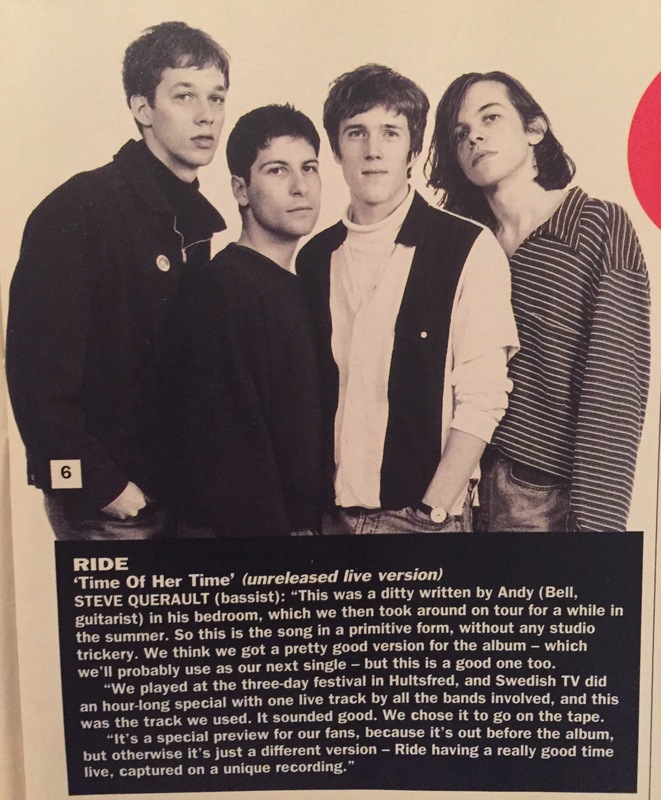 Ride are featured both with live sequences and in the airplane taking all the bands to Hultsfred. Many thanks Peter for that. I’d never seen that before. I’ve edited the Ride clip from the documentary and added it above.